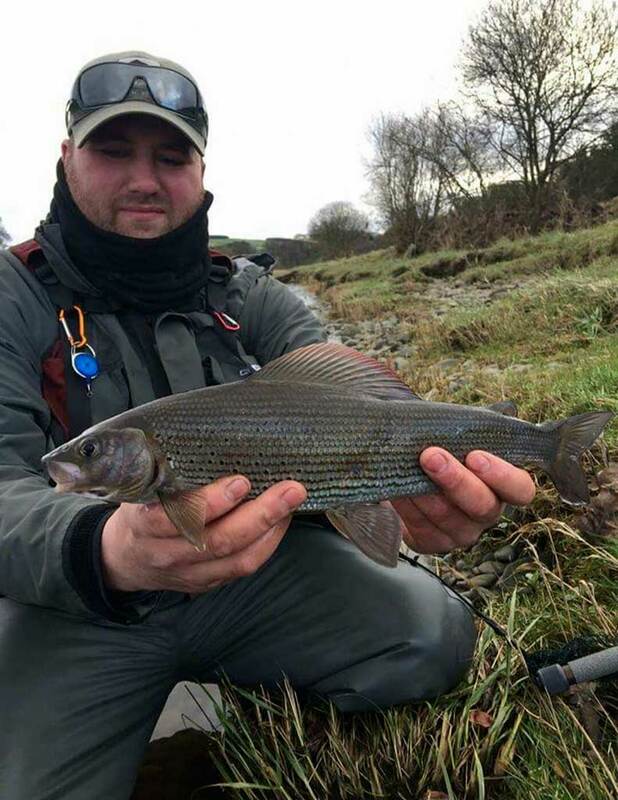 A Fly Fishing day for Grayling in cold Scotland. 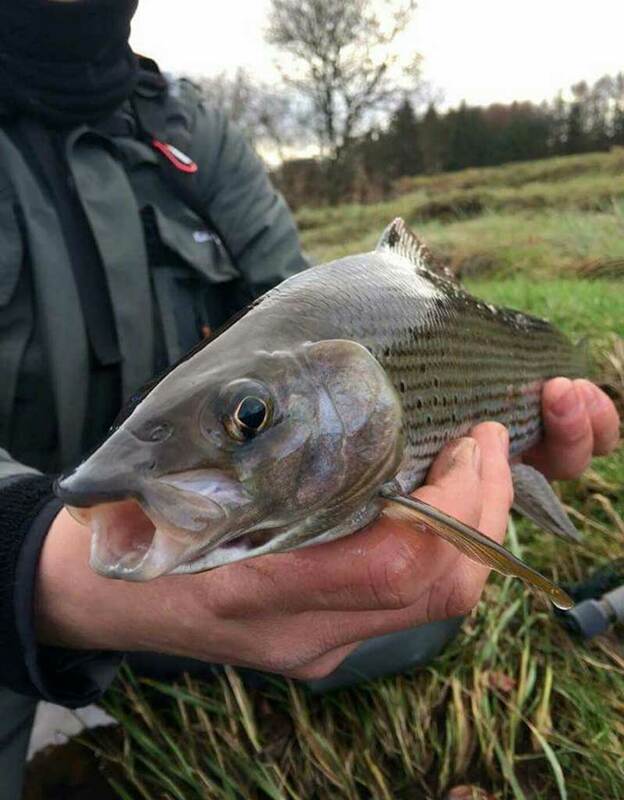 A day out fishing with a passionate fly fishing angler looking for Grayling in Scotland. 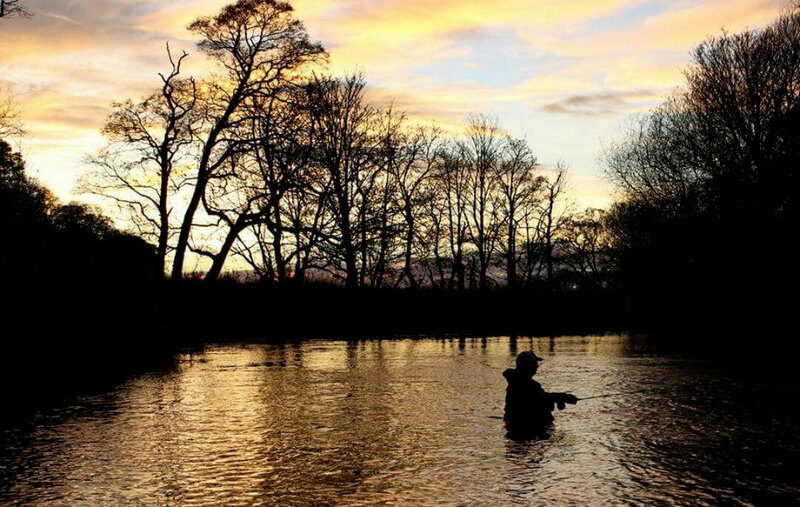 This winter the weather has not been too good for fishing Grayling. The River has either been too low or too high or something random has happened while I was putting the gear in the car ....whatever happened I did make it out last week. I met up with a good friend of mine Stevie at his house and he was itching to get going. It's his first season fishing rivers and he's doing very well. It wasn't long before we were in the car park on the river bank deciding what flies to start with. The water looked perfect. It was up a few inch with just a hint of colour. It wasn't brown, it was just at that dark grey stage, perfect. Stevie had been down the week before and bumped into a fellow angler who had given him flies that had caught him fish so he was sorted and I like to go against the grain with grayling. When most folk speak grayling flies there speaking about size 16-18 hooks but not me, I do fish them on the droppers but I have a box full of big size 6 shrimps. 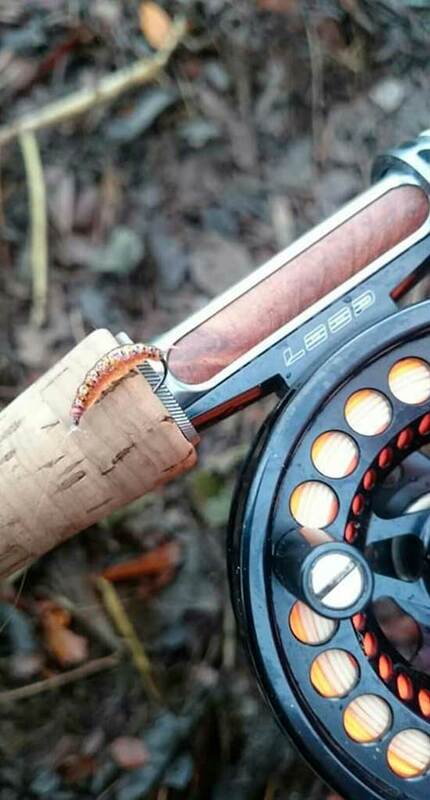 There is always one of these on my leader for a couple of reasons, 1- they catch a hell of alot of fish, more than half of my grayling take this and 2- the hook is loaded with lead before I dress the fly so it gets your cast of flies down to the bottom of the river bed very quick. We decided to start the the head of the beat and on the walk up stream we bumped into a couple of friends half way up. They had been here for a couple hours but with no fish to show yet. It was still early morning and at this time of year it doesn't warm up until midday. We fished our way down many beautiful pools and runs with nothing to show for it. There was a killer cold down stream wind which was putting everything off. It was well after lunch now and we decided a cuppy was in order and a rethink location. While sitting on the bank I spotted a fish rise, so since Stevie nearly exploded when a said about it he was sent to cover it. Within a couple of cast he had a fin perfect grayling about 10 inch long and he didn't stop there, he had a few in a row. They are unbelievable beautiful fish and we're bars of silver in this cold water. After he had two runs down the pool and had fish both times so it was my turn. First chuck bang, but this wasn't ten inches, it took me right down the pool, making the ten foot two weigh and 4lb mono leader work hard. Within a couple minutes we had a gorgeous pound and a half fish in the net. Follow my adventures on Wild Society App now, download it now,it's free!